Holders of iPhone music apps often add a Free tag to their products so as to increase the downloads, but most of these so-called free music apps for iPhone are gimmicky. Take Apple Music as an example, it offers you three-month free trial only and asks for at least $4.99 a month thereafter. If you hate the tricks, we gather top 10 free music apps for iPhone for you to choose from to listen to hot streaming music, discover new albums, create your music playlist as well as manage your personal music library on iPhone at will. 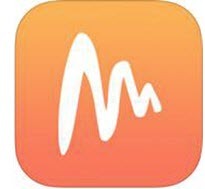 DearMob iPhone Music Manager helps manage your iPhone music in a user-friendly manner that you can add music downloaded from computer to free music apps for iPhone to listen to, as well as transfer songs between iPhones and batch deleted unwanted iPhone music. Spotify would be the biggest competitor to Apple Music as a digital music streaming service to access you to millions of songs and help you get in time touch with your favorite artists at hand. 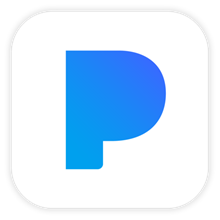 Like Pandora, this free music app for iPhone allows you to manually search your favorite songs, albums and artists as well as create stations. 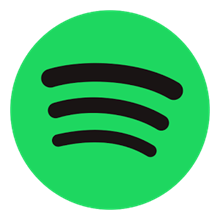 But more user-friendly, Spotify Music recommends you the hot issue of today including music, videos and news, and prepares different types of channels for you to listen to music on weekends, holidays or in spare time. Pandora can be one of the best free music apps for iPhone as long as you don't mind some ads of the free version and being not able to directly download Pandora songs on iPhone for offline listening. Just sign in, Pandora will give you the best free personalized music experience in accordance with your age, gender and your rates to different songs. 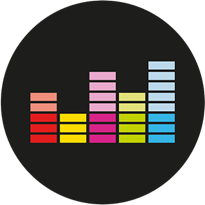 Enter your favorite song, artist or composer, this best free music app for iPhone will immediately give the search consequences that you need most plus some similar channels you may be interested in. 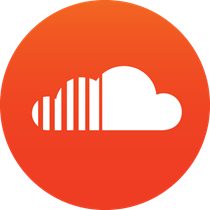 SoundCloud is an interactive music and podcast streaming platform different from other free music apps for iPhone. Besides listening to the newest songs and downloading Soundcloud music, you have rights to upload your art work as well. As a SoundCloud music app for iPhone, it lets you hear more of what you want to hear anywhere anytime with one thumb required. Get SoundCloud free music app for iPhone at hand, you will own personal and customized music library for limitless music. YouTube Music app is YouTube's app just for music and music videos. 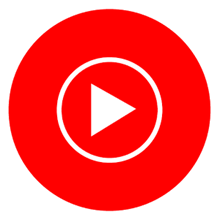 It is a free music app for iPhone for listeners to listen to all music oriented videos from YouTube without costing a dime. Here, you can find popular music videos and playlists out in 2019 as well as in several years ago. However, the app is only available in USA, Canada, Austrilia, New Zealand, Mexico and South Korea at the moment. 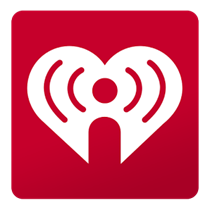 iHeartRadio would be the most successful online radio station out there for people to create own artist stations and listen to live radio stations in different categories with a free price tag. Besides radios, you are also allowed to enjoy podcasts and music playlists on iPhone iPad as well. Simply download this free music app for iPhone, find your favorite stations and enjoy 80s/90s hits, classical music, rock songs, soothing rhythms and more. Shazam is an amazing free music app for iPhone that used by more than 100 million people each month. The most amazing feature of Shazam would be its ability to identify any music playing around you, namely, it can identify the song you don't know instantly and tells you the name of the song and the artist. And then you can enjoy the music with lyrics and share what you discovered through Facebook, Twitter, Whatsapp and more. You can also link to Apple Music and Spotify to play full tracks and watch the music video of it on YouTube. 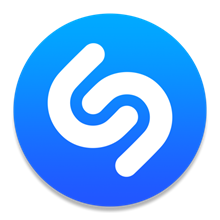 Each song that's identified by Shazam will be saved as a tag for you to find easily and share with your friends later. 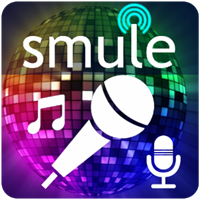 Smule Sing! Karaoke is a Karaoke app for iPhone enabling you to sing every song from your favorite artist like Alessia Cara, Bebe Rexha, Ed Sheeran, Shawn Mendes, and many more! No need to spend much time and money on KTV, you have great convenience to grasp your microphone to sing every single song aloud at home or on the street. The genius duets mode and music equalizer of this free music app for iPhone also allows you to polish your recordings to be more artistic. Deezer is just the best music app for iPhone that is customized to prepare fresh recommendations and songs for you from over 43 million tracks. It knows that every one of us is a music lover at heart so it helps to find your new loves and old favorites each time you press the button. Every day, Deezer's editors will scour the globe and hand-pick the latest releases or forgotten classics in order to connect you to your favorite music world. You can even create your own music library from millions of playlists, albums, soundtracks and more to sing along with anywhere anytime. Delivering live news, radio and sports besides music, podcasts and audiobooks, TuneIn now has owned an audience of over 60 million monthly active users worldwide. 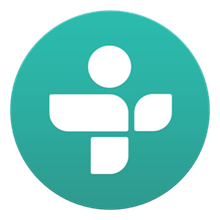 TuneIn free music app for iPhone could satisfy your needs of music and podcast listening of course, but if you upgrade to the premium version, you have chance to enjoy NFL games, MLB games and NBA finals, playoffs or regular season without ads and follow the newest trend through news and online radios. Musi free music app for iPhone has got a strong fan base when it allows users to play all kinds of music without limits and search YouTube for any song. You can even edit, record, manage your music and build unlimited playlists in different name, like pop, jazz, classical, etc according to your preference. After receiving roughly 100,000,000 emails about the equalizer feature, Musi add it for you now. Besides, you are allowed to shuffle play playlists in search in the newest version and add a track to other playlists as well. 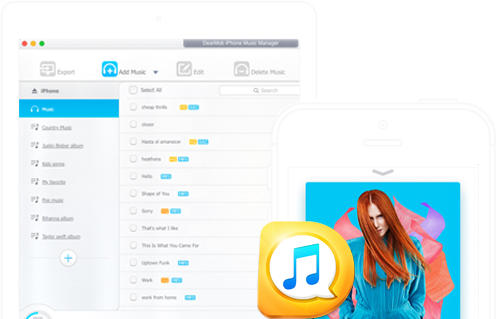 DearMob iPhone Manager is a pro version of DearMob iPhone Music Manager that can batch install/uninstall free music apps for iPhone besides managing iPhone music and converting MP3 music to iPhone ringtones. 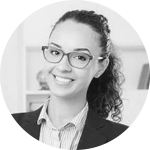 It also adapts to about 12 types of iPhone data that you can use to transfer/delete/edit iPhone music songs, backup transfer iPhone data like contacts, messages, bookmarks, audiobooks, etc and transfer old iPhone to new iPhone at will. 2 How to Download Smule Songs?